The Star Outstanding Business Awards (SOBA) 2018 is back for local enterprises to vie for the country’s top awards. 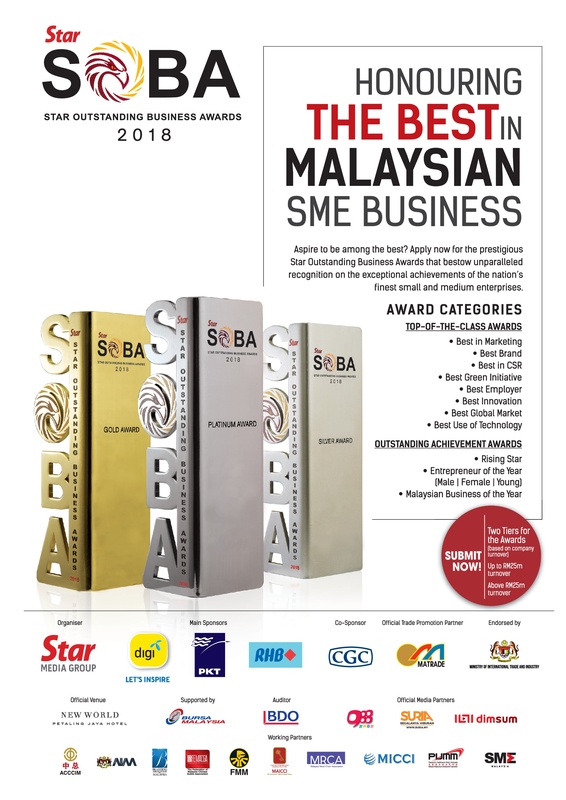 SOBA is all about recognising the best in Malaysian businesses. We return for the 9th year to honour local non-public listed organisations that have led the way with excellent business practices, ethics and principles. Aspire to be among the best? Apply now for the prestigious Star Outstanding Business Awards that bestow unparalleled recognition on the exceptional achievement of the nation’s finest small and medium enterprises.